If someone told me 10 years ago, “giving is better than receiving” I would have looked at them with one eyebrow raised and nodded in “agreement” while thinking to myself *this person is crazy and they obviously have no idea what they are talking about*. Receiving is WAY better than giving – pssh. However, I’ve matured changed quite a bit. And while receiving is nice (I mean – who doesn’t like gifts!? ), giving is definitely more rewarding. Don’t you love the feeling when you receive a message from someone saying, “You just made my day”? Okay, that’s your life lesson of the day – which has absolutely nothing to do with what I’m about to share with you. I saw these originally over at Family Fun – who has the cutest ideas, all the time…I guess they are associated with Disney. 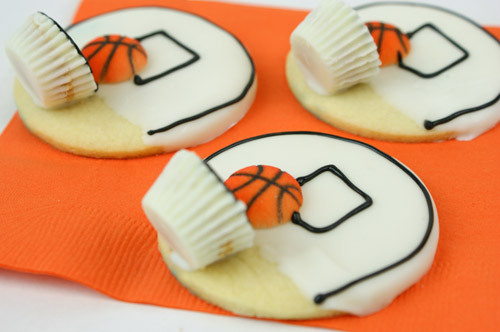 Fun basketball cookies perfect for any basketball fan, March Madness, or a basketball themed party! Roll out dough on a well floured surface approx. ¼ inch thick. 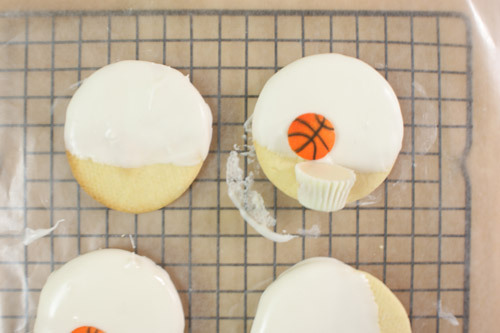 Cut into circles with (~3")cookie cutter. Place cookies 1 inch apart on cookie sheet and bake 6 to 8 minutes. Cool completely. Melt Vanilla CandiQuik according to package directions. Dip ¾ of each sugar cookie in Vanilla candy coating. Place on wax paper. 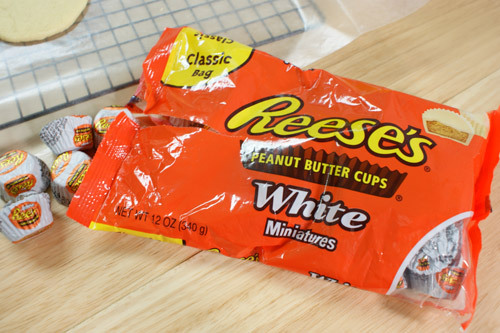 Unwrap a peanut butter cup, dip in the candy coating and place on the bottom (un-coated) edge of the cookie. 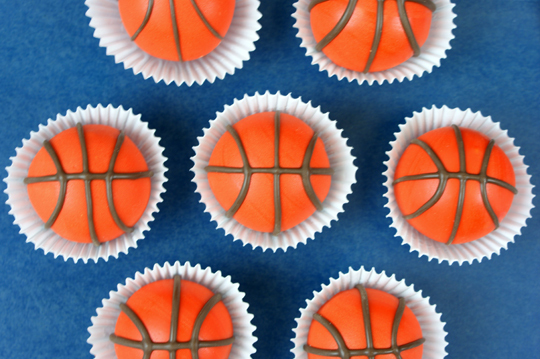 Press a basketball sprinkle above the peanut butter cup. Let set. 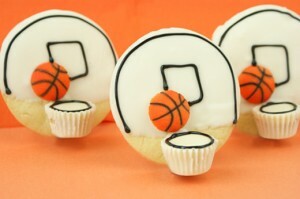 Once set, pipe on the backboard and hoop lines with black-colored CandiQuik or cake writing icing. 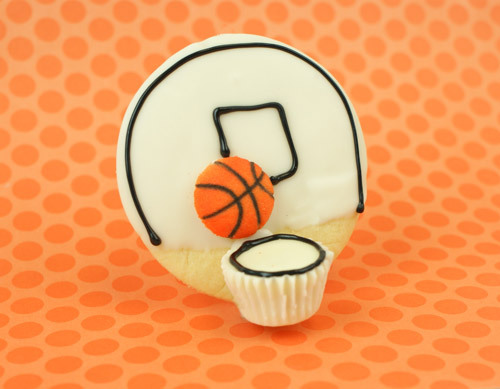 For the basketball sugar lay-ons, you can purchase them online from Country Kitchens – here. These are adorable! I remember seeing those back when, but these are cuter. Thanks so much! 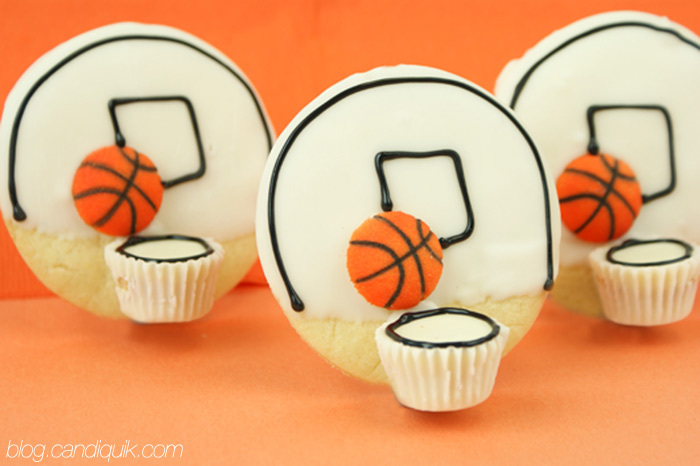 I love these cookies – so cute and easy too! These are too cute – off to see what else you have created! !